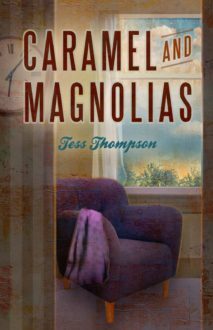 I won Caramel and Magnolias by Tess Thompson From Isi, one of my favorite book bloggers who lives across the globe. I had a feeling I would like it because I trust her judgment, and I’m happy to report that I was not disappointed. Told from the viewpoints of three different characters, Caramel and Magnolias is not the simple love story that I expected it to be based on the title. 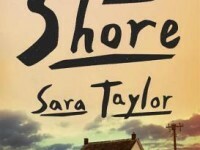 While the book does emphasize loss and renewed love, the driving force behind the story is the mystery surrounding the disappearance of a young girl and the butterfly effect that results. The main character, Cleo, is recovering from a brutal loss, while her best friend, Sylvia, battles infertility issues. Toss in a few good looking men and the disappearance of a young girl, and you have the main plot of this riveting book. One of the reasons I was so drawn into this book was that it was filled with random little details that I could relate to. There are references to Law & Order (my favorite show), the brothers have the same names as some brothers in my family, I love the name Madison, there’s an Allison, and one of the character’s favorite driving snacks is cheddar popcorn (I’m a big SmartFood popcorn fan). I know the author wrote these details with absolutely no intent of speaking to me directly, but the number of similarities drew me in. It is for these reasons that I am able to overlook some of the cheesier portions of the love story and the rose-colored glasses that the reader looked through. What could have been a very dark read was, in fact, a lighter read and easy to get through. I’m not a big mystery fan, so I’m not sure that I would have enjoyed the book better if it was heavier on the doom and gloom, but there were some parts that were so unrealistically optimistic that I unconsciously scoffed (or so my husband says). Regardless, I really enjoyed the book. What could have been a very heavy novel was transformed into a light page turner with a dash of mystery. As the weather warms up, I recommend this as a weekend beach read! Question for readers: Have you ever related to a book because of its similarities to your own life?